Your post reminded me about good memories and bread. My husband’s family has an Irish tradition of Soda bread that I have adopted. My daughter, Rose (5) and I frequently make this large, lovely loaf of bread and now include a multigrain flour mix that is truly heaven. She is growing up learning to make this bread and learning about her family tradition and heritage. Thanks for the reminder about how food, family and history are connected. 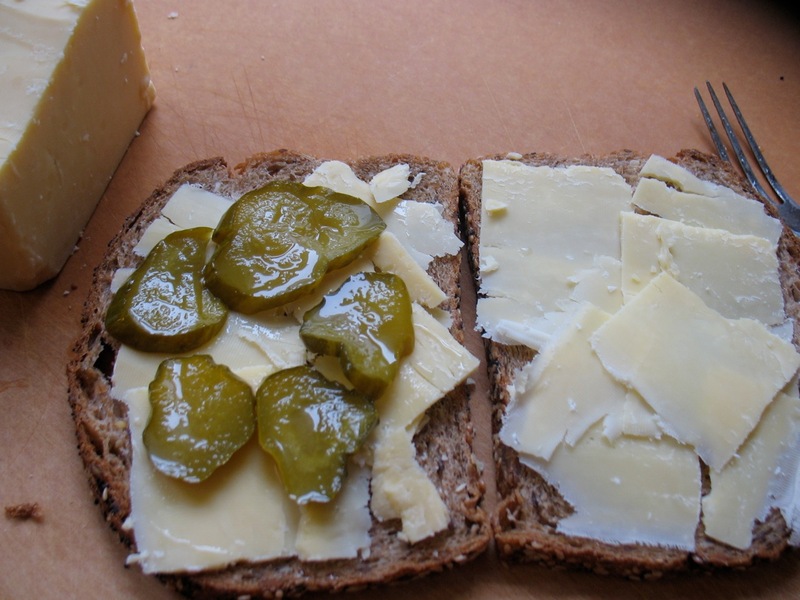 I can’t wait to try your grilled sandwich with homemade pickles! New to me but sounds wonderful!! I was drooling over this cookbook just yesterday. All our talk about baking the no knead bread at our Sunday class enticed me to use my carb allowances for good Grand Central bread–while there I almost bought the cookbook. I am also waiting for my shipment of Flying Squirrel peanut butter from Eugene to use with this new GC sandwich bread–supposed to be devine—now I will have two nostalgic childhood treats—grilled cheese and pb&j. I only need your mother’s bread and butter pickles! awesome! thanks for the post. I’ve experimented with making all kinds of bread, and am currently using the Tassajara basic bread recipe, which I love with an intense passion. 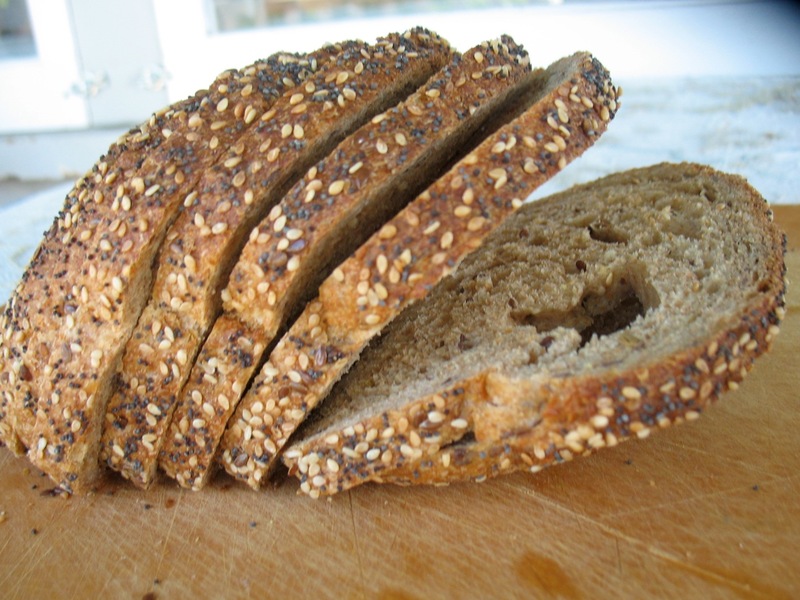 All whole wheat (except I throw in a little rye), light, with lovely texture and crumb… I am a big fan. But where baking is concerned, I’m always willing to try something new! Looking forward to trying Grand Central’s new loaf. I love the Como loaf for toast and grilled cheese sandwiches (soon to be grilled cheese and pickle sandwiches.) 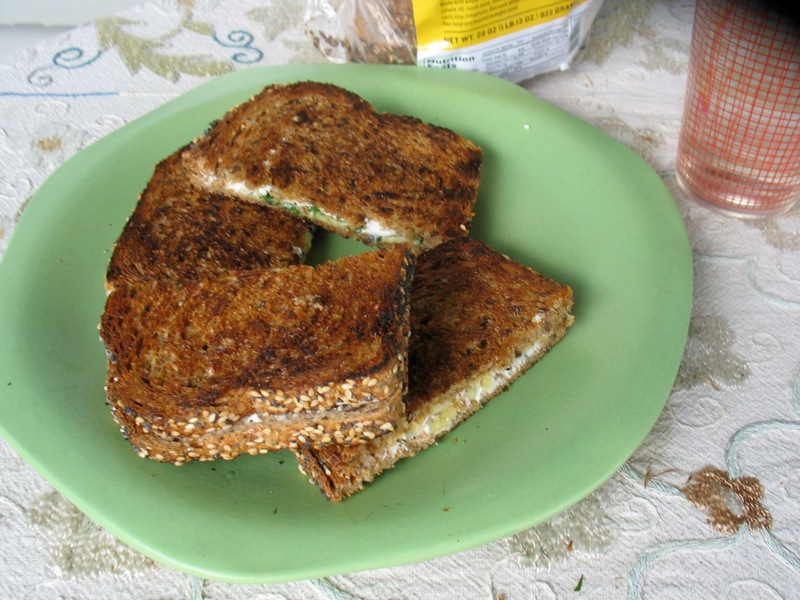 I also like a quick grilled meatless version of the Reuben sandwich with swiss cheese, sauerkraut, and dressing as I don’t usually have corned beef around, but almost always have the other ingredients in the fridge. Give it a try, it’s really delicious. I love Grand Central. I signed up for a CSA box from Creative Organics out of Eugene. My pick up location is the Grand Central Bakery in Multnomah. Grand Central is a big supporter of CSAs and throws in a free loaf of bread or pastry with my pick up. How cool is that? I must say, ditto with regards to living close to grand central and also adoring their whole grain sandwich bread. thanks for the pics and inspiration, think we’re taking a walk to the bakery and making grilled cheese this afternoon. perfect with the gorgeous greens i picked up today from my csa. Your blog was just recommended to me today by a friend and I can see why. Your post today reminded of my mother who always made 4 loaves of homemade bread on Monday morning while we were growing up and now I enjoy making bread for my family. Pickle sandwiches, using my own canned sweet pickles, are one of our family favorites so I’m excited to try your version. It sounds delicious. Thanks for bringing up bread! I’ve been baking all our bread for several years, but there’s still one loaf I can’t seem to duplicate. I can turn out crusty, rustic loaves or dark, dense, flavorful ones. I can manage lovely oat breads and a fine whole wheat one. 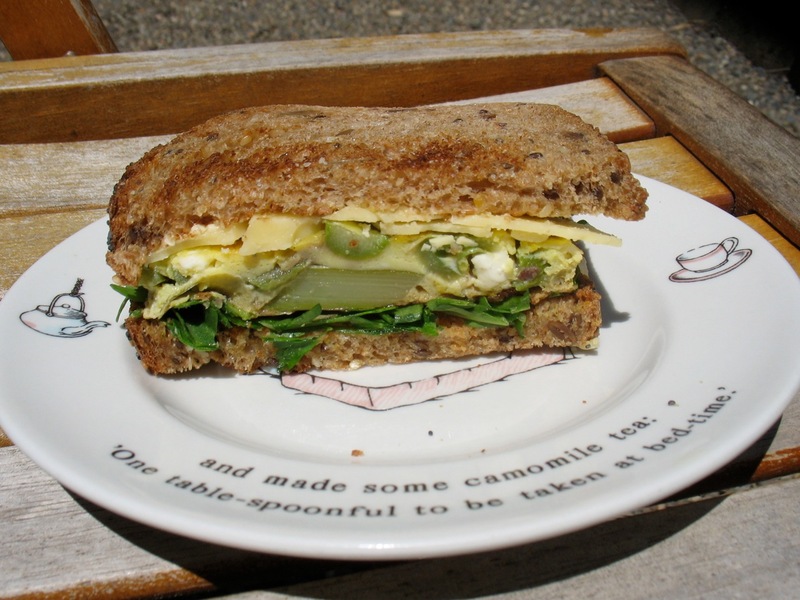 But the one remains elusive is, as you mentioned, the softer, more tender (yet resilient) sandwich bread. Maybe the GC cookbook has it… Hope springs eternal! 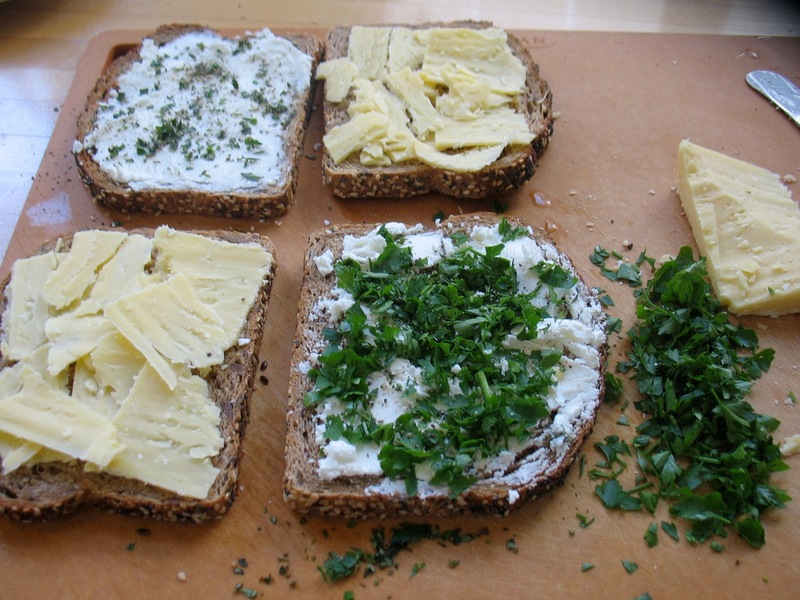 I made my first loaf of bread last summer – with cottage cheese and dill. So delicious, fluffy, and flavorful! I’d like to try more recipes, since that one loaf made for delicious days of snacking, but other whole wheat recipes that I’ve tried haven’t had the same magic. Definitely a bread lover/baker and one of my favorite breads is…..okay, wait I can’t decide! This book looks awesome! I’m always threatening to move to Portland, but since I haven’t made it yet, I don’t have easy access to a Grand Central bakery. I’ve spent the past year enjoying the culinary explorations of my roommate, who (among other things) used the Tartine cookbook and his homemade starter to fuel his breadmaking. There was no reason (or room) for me to make the couple of loaves a week that used to be my standard. But now we’ve both moved, and I was planning to dust off James Beard again to rev up my baking engines. It would be *much* more fun to check out a new cookbook that sounds so appealing, though! Bring on the chewy, seedy loaves! My oven is ready! I love good whole grain bread, but it’s impossible to find in my area. Mmmm, I love good chewy bread. Pick me, please! I think bread is my favorite food. I could eat it all day. Over the past 3 years, I have enjoyed learning how to make bread. I have come to find a deep-rooted love for it- the browning crust in the oven, the crispy touch as you transfer it to a cooling rack, and, of course, the heavenly aroma it leaves behind. I remember growing up around a neighbor who baked bread, and was infamous about her rolls. Flocks of kids would come to her if they knew she was baking bread. I hope to share the love like she did.